The inside passage to Alaska has been paddled by native canoes since time immemorial, sailing craft for centuries, and after someone found gold in the Klondike the route was jammed with steamboats full of prospectors elbowing each other out of the way for the promise of fortune. It’s in the spirit of tradition, exploration, and the lawless self-reliance of the gold rush that Race to Alaska was born. R2AK is the first of its kind and North America’s longest human and wind powered race, and currently the largest cash prize for a race of its kind. 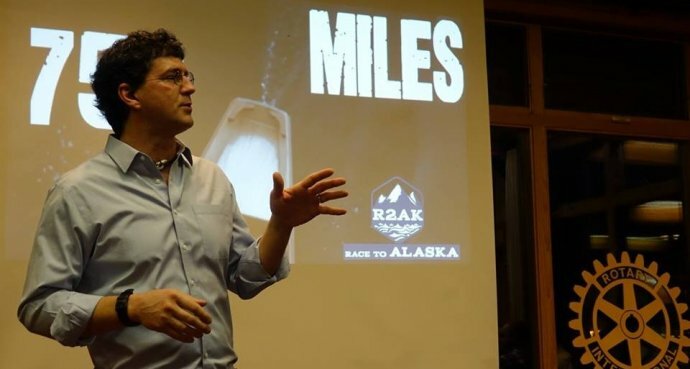 Join us as Daniel Evans, Race Boss, provides an insider’s perspective on the Race to Alaska (R2AK). Go to https://www.brownpapertickets.com/event/3390841 to purchase tickets online! Appetizers provided and beer and wine available for purchase. Outside food welcome. Open seating and all ages welcome.